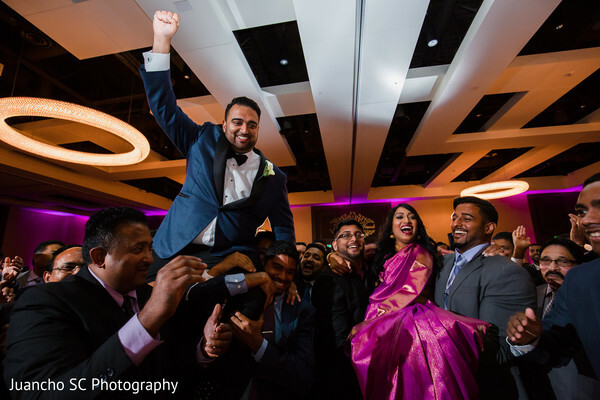 We return to the JW Marriott Minneapolis Mall of America for the glittering reception extravaganza of Maharani Jeena and her beloved Raja Jacob. 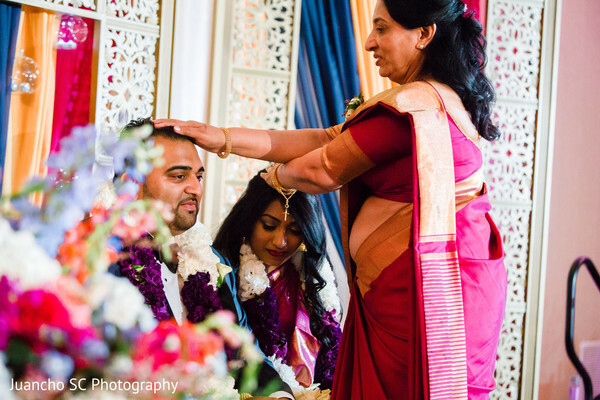 WarPaint International gave the bride the royal treatment, with ruby lips and dewy skin. What a beauty! 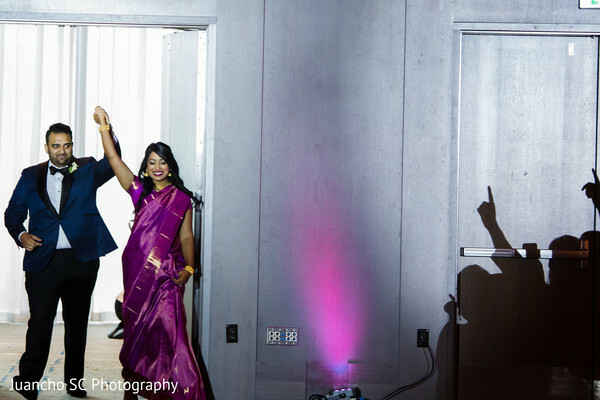 Channeling her inner Queen, the bride wore a breathtaking fuchsia sari, and the lustrous silk material shimmered under the twinkling candlelight. 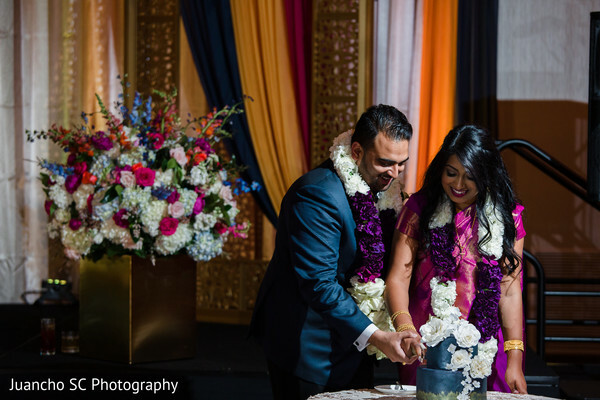 The reception quarters were designed by Mani Mela, with floral and decor elements by Simply Stated Elegance. 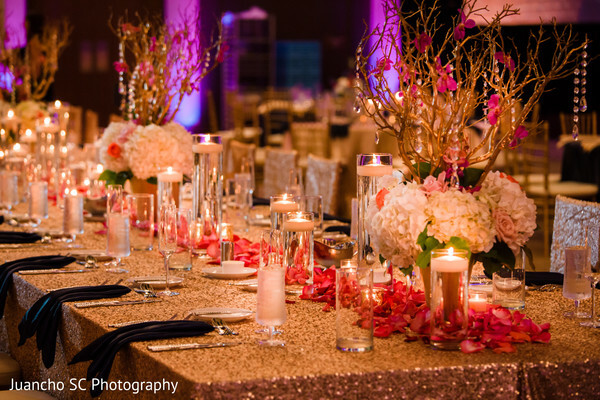 Pink and purple hues, circular chandeliers, and intricate draping brought on a lux vibe that was romance epitomized. 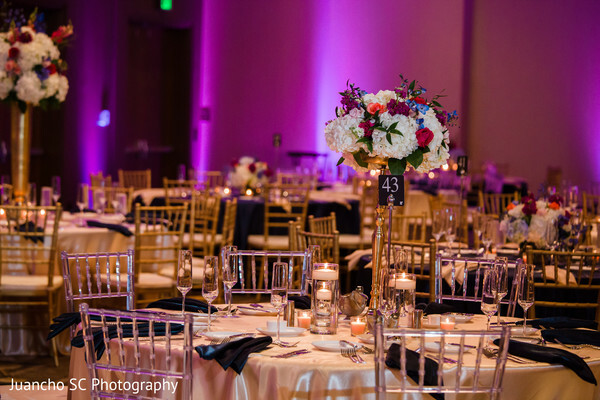 Lush floral arrangements set the decadent tone for this fabulous event. 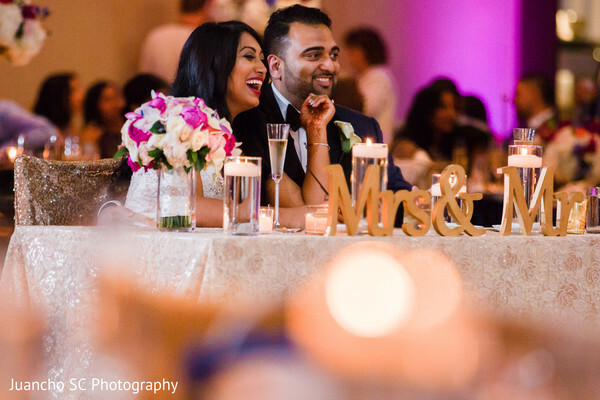 The entire venue was bathed in lavender luminescence, and Desi Junction DJs curated the perfect playlist that energized the newlyweds and their guests as they boogied all night long. 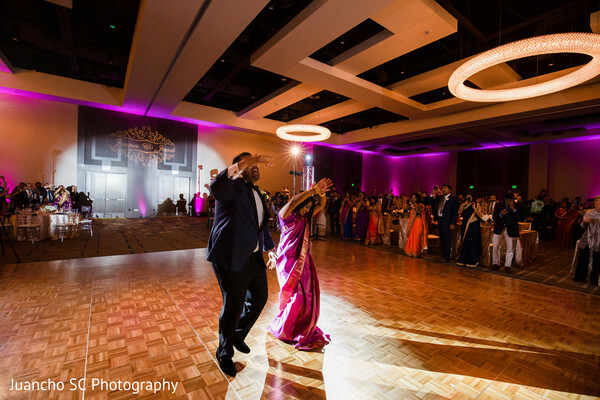 Seriously, this dance floor was packed until the wee hours of the morning! 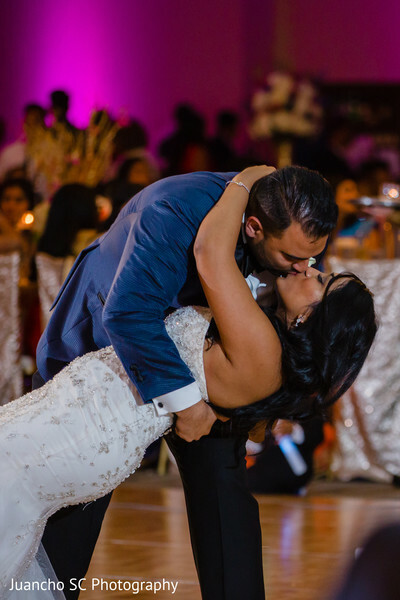 Juancho SC Photography was behind the lens the whole night to ensure that every tender moment was captured in the full gallery. 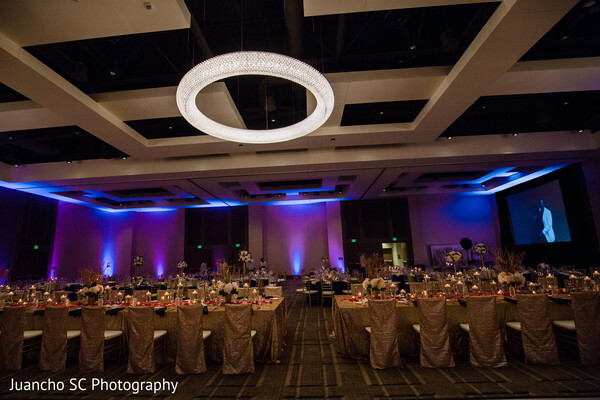 WarPaint International Beauty Agency and JW Marriott Minneapolis Mall of America are members of the Platinum Guide. Love what you see? Explore their portfolios.